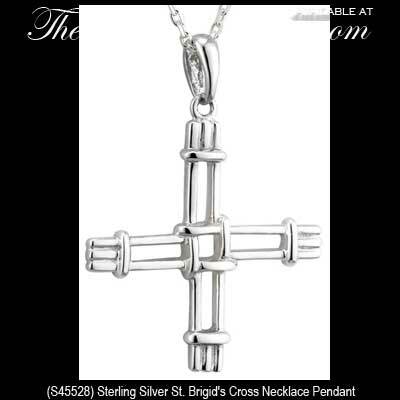 This sterling silver St. Brigid's cross necklace features an open design. 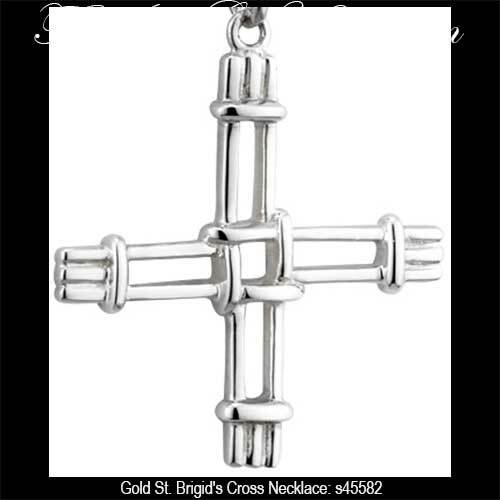 This St. Brigid's cross pendant is crafted in sterling silver and it features an open design. The St. Brigid's necklace measures 3/4” wide x 1" tall, including the jump ring and the chain bail, and includes an 18" long sterling silver chain.